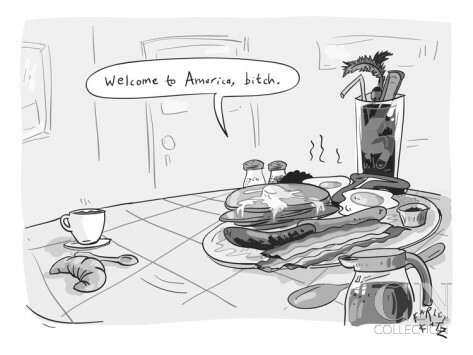 Welcome to Brazil, puny American hot dog!!! This clearly translated the American culture of brunch – something that to the best of my knowledge has not yet caught on in Europe – especially in France, where breakfast is still not a gigantic meal – when I was there on my accidental stop four years ago, the breakfast buffet at the airport hotel I stayed in didn’t offer much more than cheese, cold cuts and bread (though I was too sleep deprived to pay attention anyway). However, I believe the American hot dog would have pretty much the same reception in Brazil if the two varieties ever met. 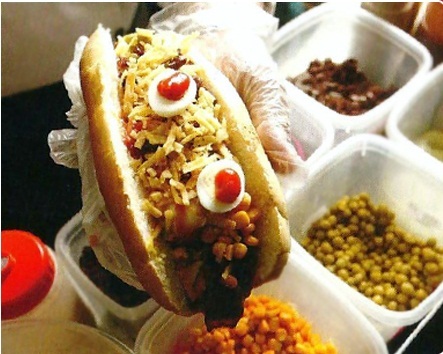 While here the street food staple is topped with little more than sauerkraut, sautéed onions, ketchup and mustard their Brazilian counterparts could be considered almost a meal, since even when you get dogs in shopping malls, they include more toppings than you can get on a Subway sandwich. Want some cheese on it? Check. Vinaigrette dressing with chopped onions and peppers? Double check. Potato chip sticks? Sure! 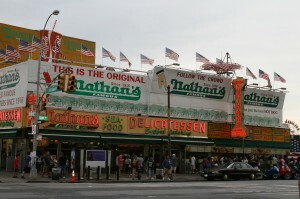 And of course you can add mustard, ketchup, mayo or even corn and peas if the place makes it available. 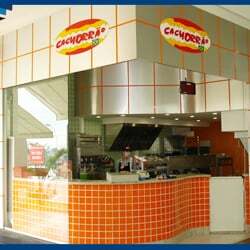 I recall going to a food court in Sao Jose dos Campos (an industrial town about an hour from Sao Paulo) where they had this place called Big Dog that offered foot-long sausages in buns. You would buy the dog and then walk around the shop to add as many toppings as you wished – which even included tomato and meat sauce, mashed potatoes and even some sweet ones. Some people would leave the place with hot dogs that could easily weigh over two pounds, and you could barely see the sausage peeking out of all the stuff you put on it. 1. In a bowl, season ground beef with salt, pepper and cumin. Reserve. 2. In a large saucepan over medium-high heat, add the sausage and just enough water to cover. Once the water comes to a boil, remove pan from heat. You will notice that the sausages have nearly doubled in size (plumpness technique). Reserve. 3. In a medium stainless-steel saucepan over medium-high heat, heat the oil. Sauté both the onion and bell pepper. When the onion becomes translucent, add the garlic and let it cook, stirring constantly, for 30 seconds. Add the ground beef and let brown. Stir in the tomato paste. Then add either water or broth/stock and thyme, and bring to a boil. When it begins to boil, reduce heat to medium-low and let the meat cook, partially covered, for about 10 minutes, stirring occasionally. Remove from heat, stir in the lime juice, and cover the pan. 4. To assemble the hot dog, put a warm or hot sausage link into each roll/bun, and then on top of it spoon about 2-4 tablespoons of the prepared, hot ground beef. Top with shredded mozzarella cheese (only assemble the hot dogs right before serving, in order to prevent the bread from becoming soggy). Mustard, ketchup, and mayonnaise are the preferred choices for condiments in Brazil. The hot dogs can be served with the following accompaniments: steamed corn, steamed peas, pico de Gallo, grated Parmesan cheese, shoestring potatoes, shredded lettuce, chopped parsley, chopped olives, grated carrots, mashed potatoes, cream cheese, etc.. Typical accompaniments vary from one region of Brazil to the next.